The state of Israel is going to celebrate its 71st birthday this May. Israel is full of political controversy, due to the migration of the American Embassy from Tel Aviv to Jerusalem, it has managed to become quite the hotspot for the technology startups. In its short period, Israel has evolved from a weak, insufficient resource and vulnerable country to a thriving, democratic and innovative state. Isreal itself is known as “Startup Nation” is advancing the world with technological inventions, that are ranging from drip irrigation and water creation technology to autonomous driving and breakthrough medical advancements. Now the country has the highest amount of startups per capita in the world. It is the one to recognize as the boss for autonomous driving, cybersecurity, enterprise software, cleantech, and digital health. With the bulk of startups, thousands of investors, dozens of accelerators and many other resources, the Startup Nation like Israeli Technology ecosystem is drastically growing and producing the outsized success. With interests to ease of doing business, Israel is ranked as the 3rd in its region and 38th globally. So if you have a plan to establish your business, then it is time to look towards Israel especially if you want to start up a business from scratch as Israel has the policies in place that fully supports startup businesses. It could be little wonder that it can boast of having the 2nd largest number of start-up businesses in the world. Israel’s significant revenue rotates around both the agricultural and industrial sectors. Tourism is also another critical patron to the GDP of Israel. In terms of GDP, Israel rates as 43rd largest one in the world. In Israel, there are major manufacturer and exporter of software, computerized systems, related medical equipment, communication technology, diamonds cutting, pharmaceuticals, chemicals, fruits, military technology, and electronics. It is most important to know that Israel is the leading nation when it comes to the development of solar energy. And Geothermal Energy. Let us go immediately through some of the top businesses opportunities that are available in Israel. Every year loads of people visit Israel for different reasons. One reason among them is that the people visit Israel is for religious pilgrimage. There are lots of hotels for these tourists place, and they are looking to get a digital presence. So the digital transformation for the hotel business is placing an important role in Israel. Krify has high competency in developing the mobile app or website for your hotel business. We are the leading Hotel Website and mobile app development company in Israel. No doubt if you establish your own travel business in Israel. You will get the benefits as their will to be loads of booking for vehicles per time; this is because people from all over the world will visit Israel for pilgrimage and most definitely look for cars during their visit to Israel. So if your travel business is well positioned, then you have more than enough clients per time. To grab more visitors to book from your agency, you need to be in the digital presence that brings the digital transformation in the travel business. And if you want to be the one in the top place in the travel business, then you need to get an online presence in this game-changing world. For all this to happen, then you need to look for the travel booking app development for your business. Don’t know how to get and what to do? Don’t worry we Krify is here to help you. We recognize as one of the best booking website and mobile app development company in Israel. Our web and mobile developers have high competency knowledge on all the digital technologies that lead the world now. Israel appears to be the originator of solar energy, and also they are the highest exporters of standard solar panels, amongst others. If you have thought of starting your own business in Israel, then you should consider establishing a Solar panel Manufacturing Company, but tensed how to beat the competition. You can hit the immense competition with our digital marketing company in Israel by Krify Software technologies which are the leading website development company in Israel. We provide the best Seo tactics like Adword Campaign, CTC, Internet marketing services and many more. We do your business at the top with our professional Seo services. So, all you require to do is to develop your solar panel manufacturing website and think towards branching out to countries where demand for your products is very high. Medical and healthcare are the other most thriving industry where scientists and researchers from Israel. Planning to start a medical-related business in Israel, then it would be the right thought to begin. But just starting the company in Israel is not enough; it should be in the digital transformation world. For this, you need to go for the development of a website or mobile app. The digital transformation in the medical industry made Krify focus on the pharmaceutical sector and got the name as best Medical and mobile healthcare app and website development company in Israel. We never leave your business just by developing the website or app for your business. W go beyond that. We produce the best digital marketing strategies to grab the search engine eye on you. We fight for your business until we place you in the best place in the search engine. The requirement for people to get the right insurance covers cannot just overemphasize; This means that with the right and full brokerage firm one can maximize the profits of being under an insurance cover. If you have expertise in insurance or are ready to get trained in that line, then you may need to start an investment brokerage business in Israel. Just beginning a FinTech business is not the worth thing. It should get a global presence. So to get the digital presence, you need to go for the FinTech website or mobile app development. For this, you need to choose the best FinTech web and mobile app development company in Israel. Krify is one of the leading FinTech mobile app development company in Israel. 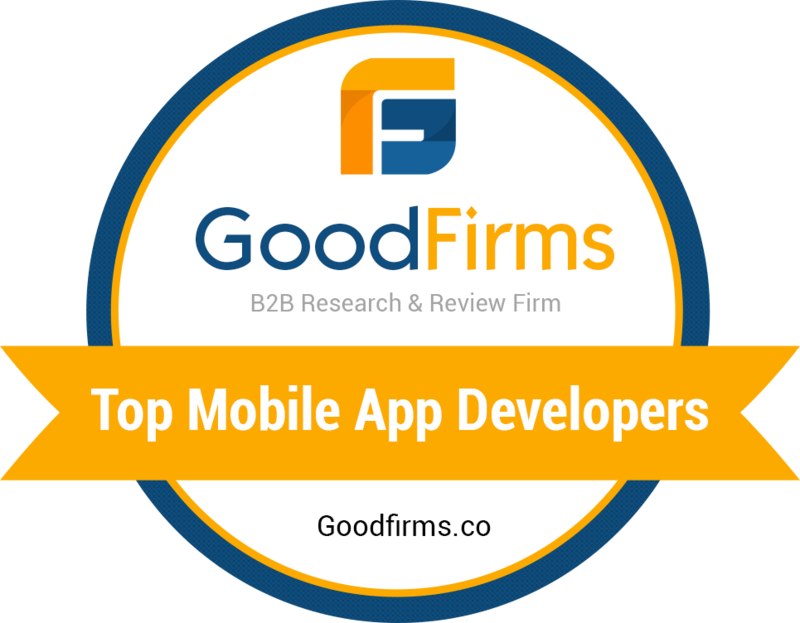 You are choosing our FinTech developers for your FinTech mobile app or Website Development who has excellent knowledge of the trending digital technologies that meet your exact need. These are some business opportunities you would find in Israel. Make sure to learn more about these businesses when it is time to start with them; this is because there is so much that can gain when one embarks on a business journey with the right information. Krify is one of the top leading mobile application and website development company having the headquarter in the UK as well as India who also has a global presence. We have colossal competency in developing applications and website for various business sectors. If you are planning for any business and waiting for the digital presence, then reach us for further assistance.